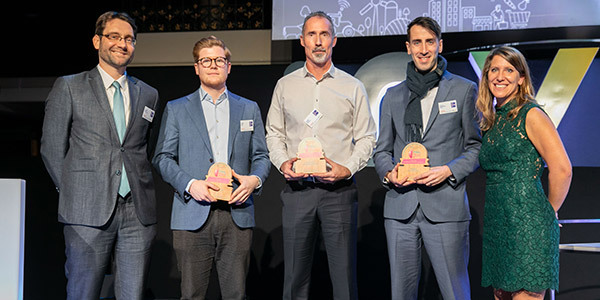 On 12 December, at the Tech Agri-Food Day, the annual event dedicated to food chain professionals (startups, group employees and partners), the winners of the 2018 edition of the InVivo Quest innovation challenge were announced and rewarded! Sponsored by the French Ministry of Agriculture and Food, the Tech Agri-Food Day aims to shed light on food challenges up to 2050. This event, which brings together a pool of food chain professionals, is both a catalyst for connections between stakeholders in the field and an opportunity to be inspired by the agility of the startups. This dynamic was enriched by the presentation of the trophies of the second InVivo Quest innovation challenge. Ombrea: which offers a climate control tool adapted for sensitive crops at risk from changing weather. Tartimouss: a spread made from broad beans, which contains no added fat and half as much sugar as the average spread. Terra Innova: which promotes agro-ecological methods on construction sites (quality of water, soil and agricultural ecosystems, and economic and ecological solutions for disposal of excavated material). MicroNutris: the first French, organic-fed, edible insect breeding company. Javelot: which offers a connected device to monitor the temperature of stored grain. 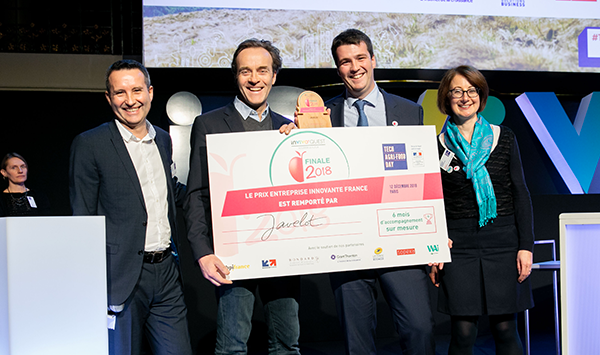 The Lille startup, Javelot, was awarded the 2018 innovation prize. In 2018, InVivo Quest broadened its selection by extending the challenge internationally, through three international innovation hubs: New York, Singapore and Berlin. Afineur (NYC): a biotechnology food startup developing new fermentation processes to improve the taste and nutritional value of raw agricultural products. NutraPonics (Singapore): a Canadian indoor vertical aquaponics farming company. Stenon (Berlin): a real-time soil analysis solution with an IoT solution consisting of a fusion of intelligent sensors, artificial intelligence and data analysis.